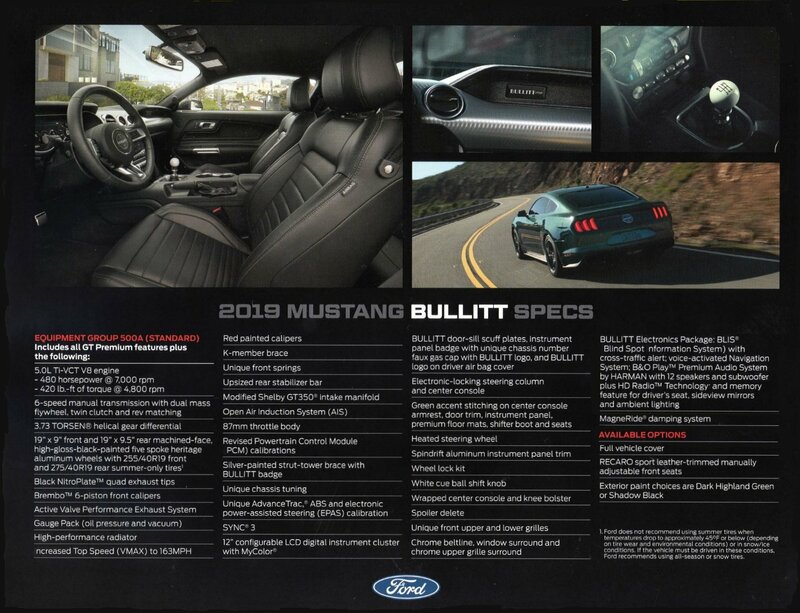 Click here to return to the main web site. 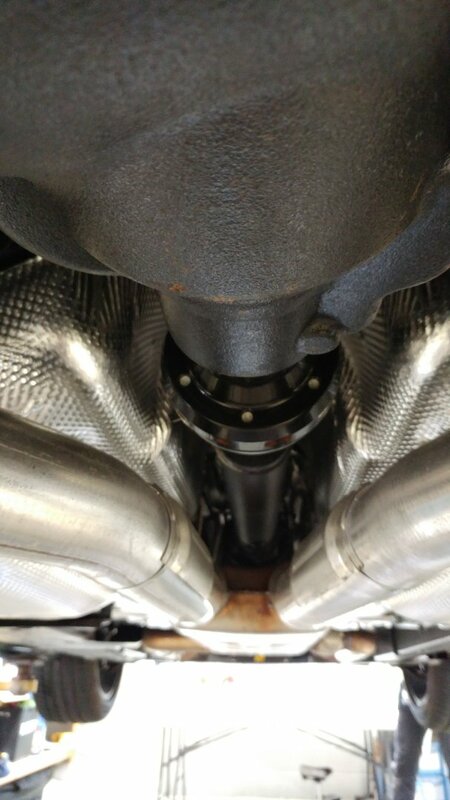 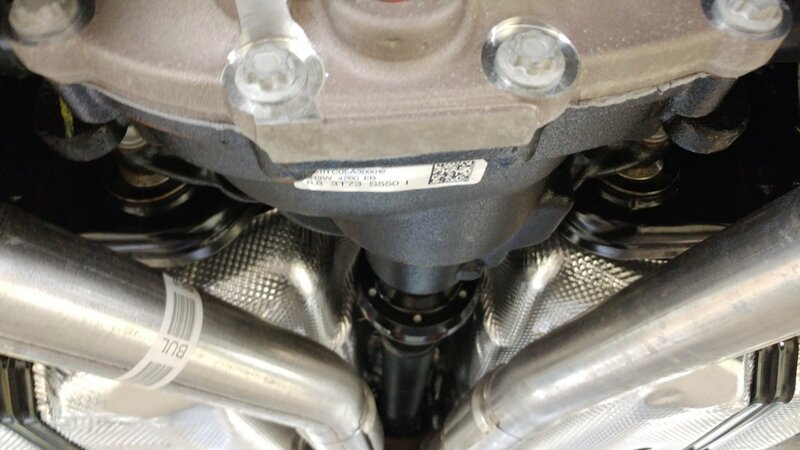 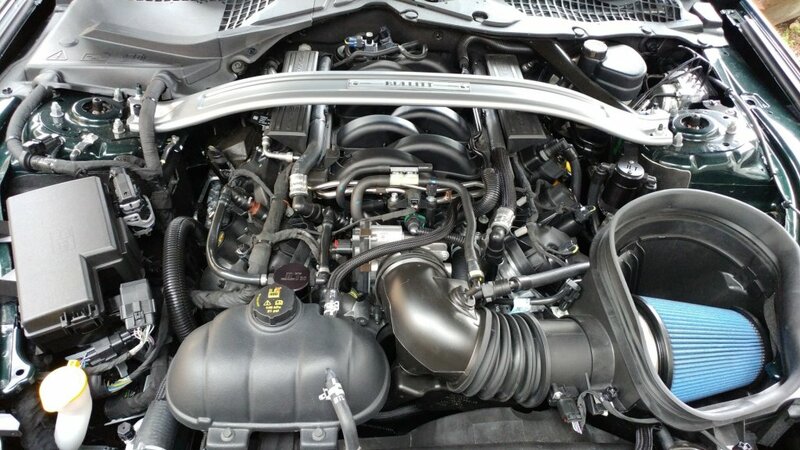 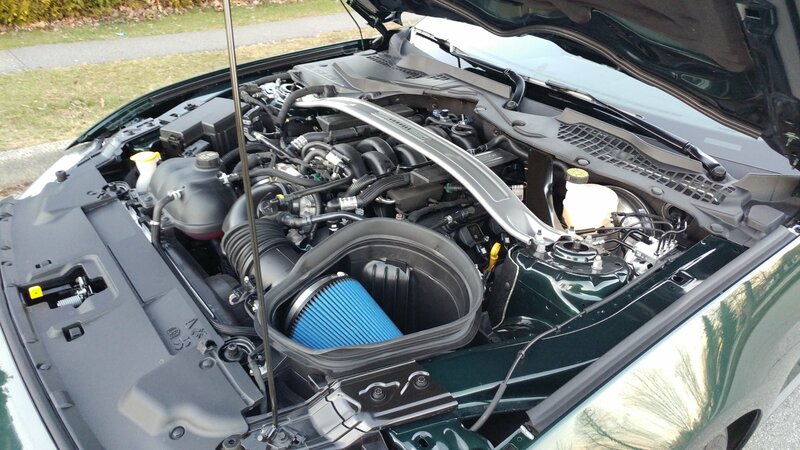 Engine is a 480HP 5.0L "Coyote" V8 with a 6 Speed Manual Transmission. 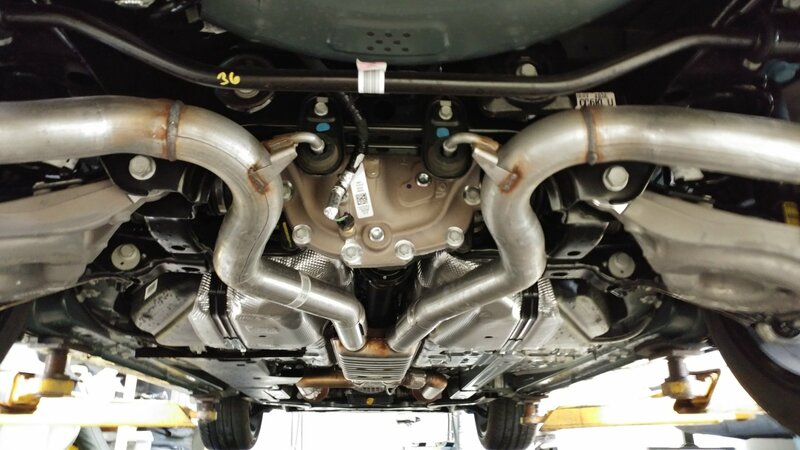 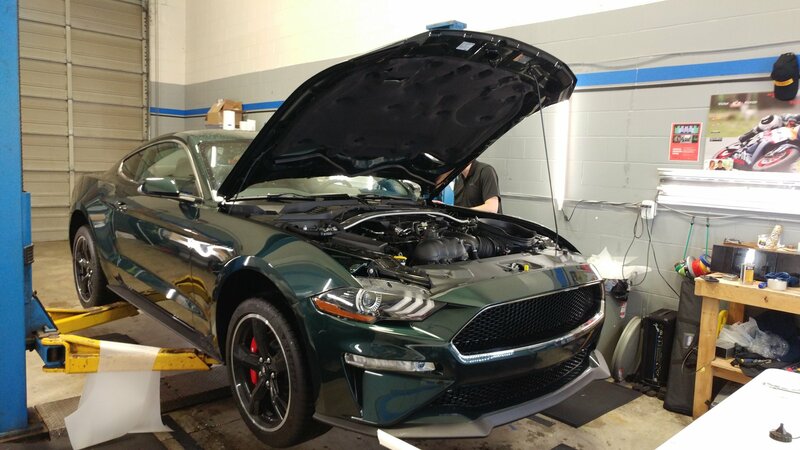 Installed mods: Ford Performance GT350 Blue Dry Air Filter by Airaid, Chrome Set of 20 Gorilla Wheel Lock nuts, Textured Black Coolant Tank Reservoir Cover & Brake Fluid Reservoir cover, JLT V3.0 Black Passenger Side Oil Separator, Craig's Custom Front License Plate Bracket. 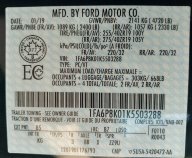 If interested, I have some parts for sale here. 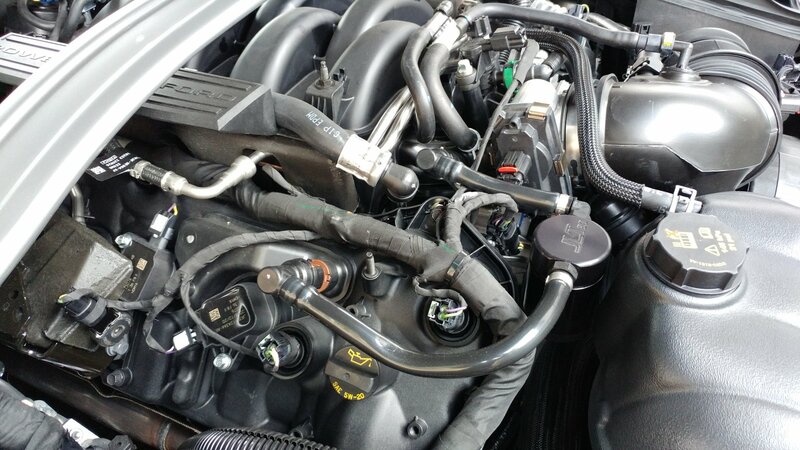 The Black Textured Brake Fluid Reservoir cover by California Pony Cars arrived today so I installed it and updated my engine bay picture. 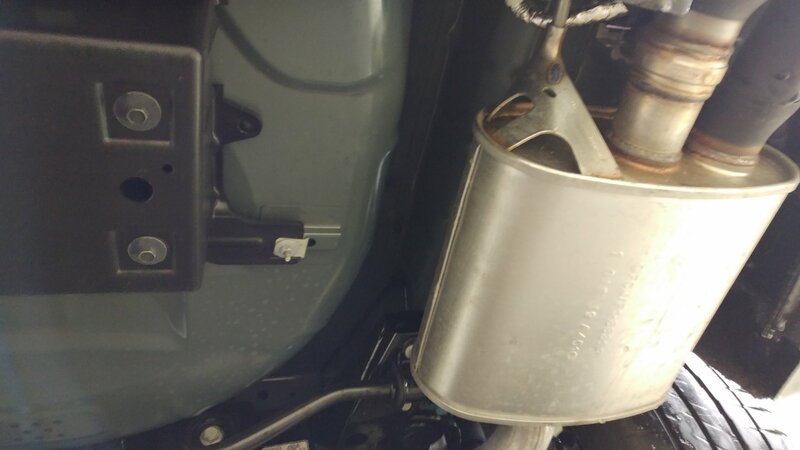 I don't foresee anymore mods for this car. 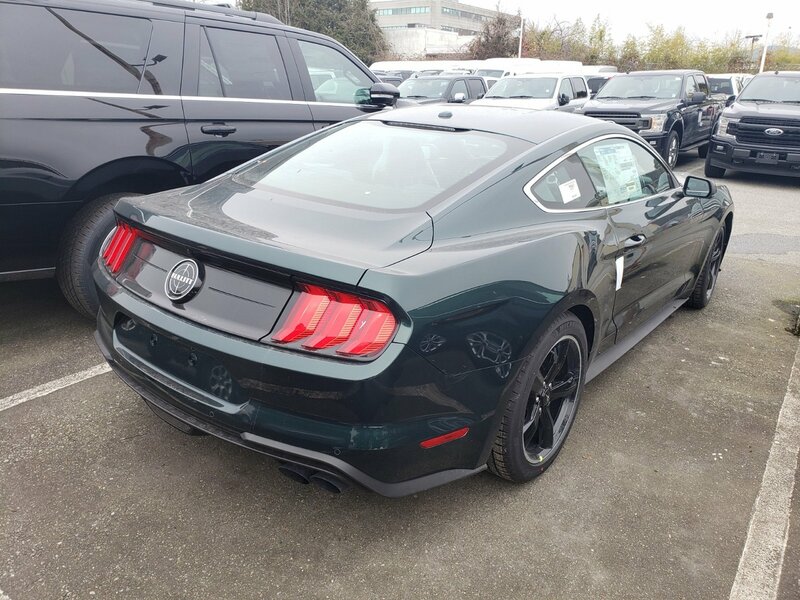 I had Luke from Protex Vancouver installed their paint protection film by Xpel on the front hood, bumper, fenders, lower side rocker panels and front of rear fenders of my Bullitt. 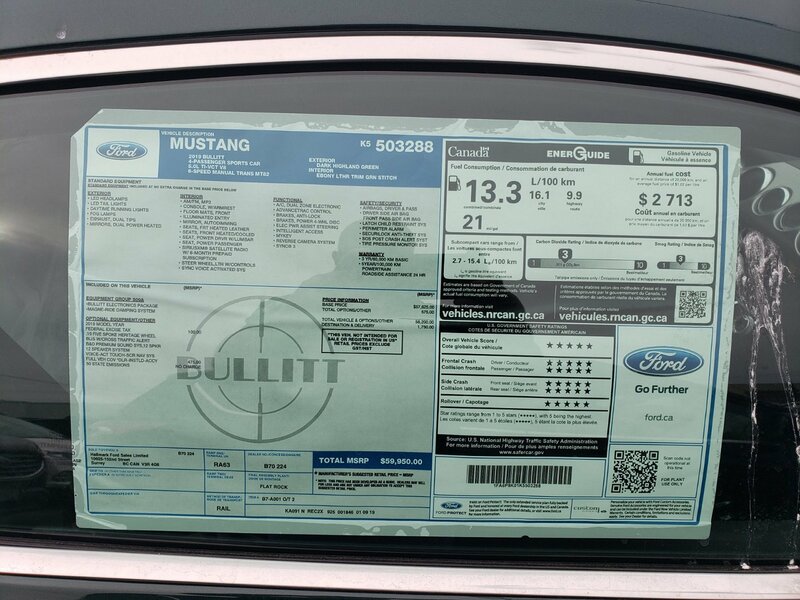 This the 3rd car they have done for me. 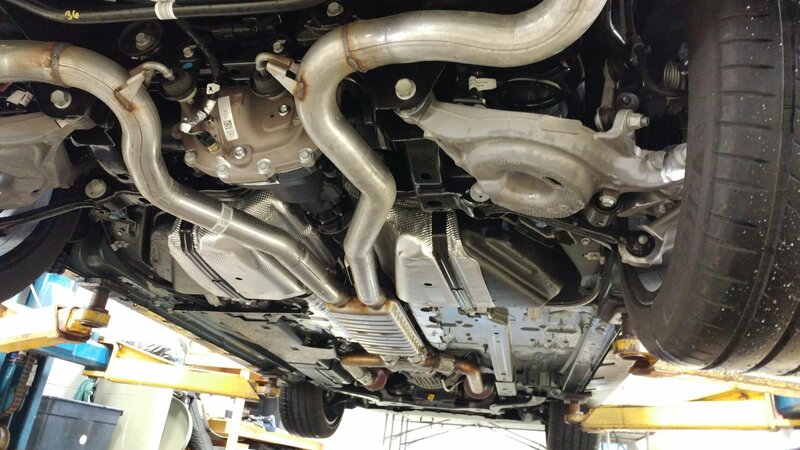 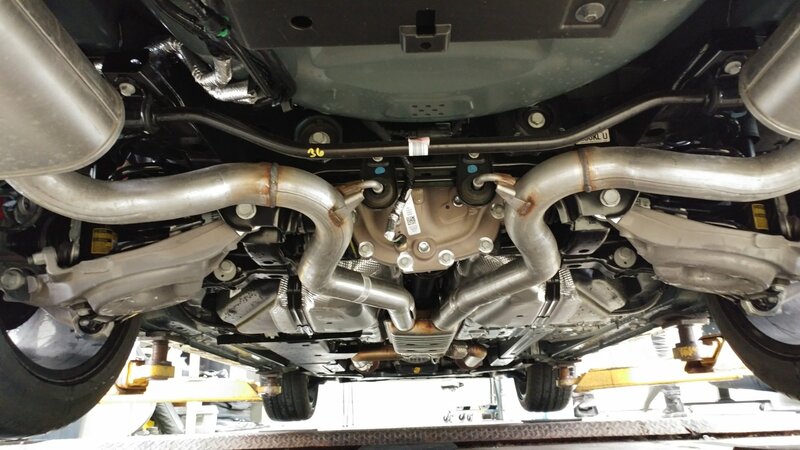 While the car was lifted in the air, I took some pictures of the underneath of my car. 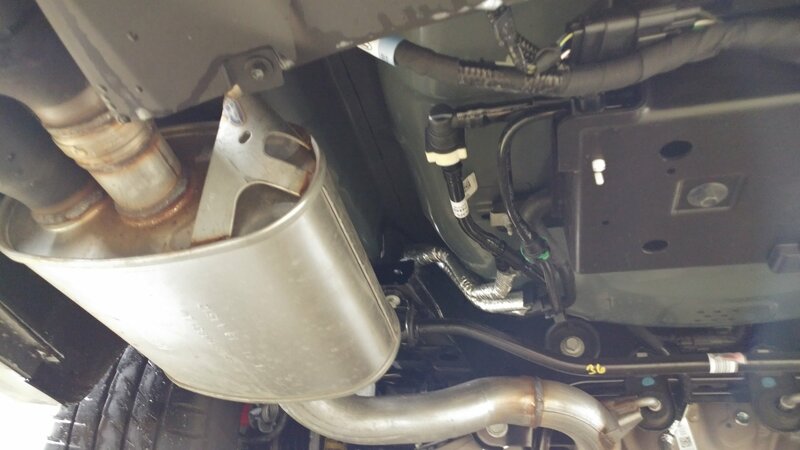 I installed the JLT V3.0 Black Oil Separator - Driver Side so here are some pictures. 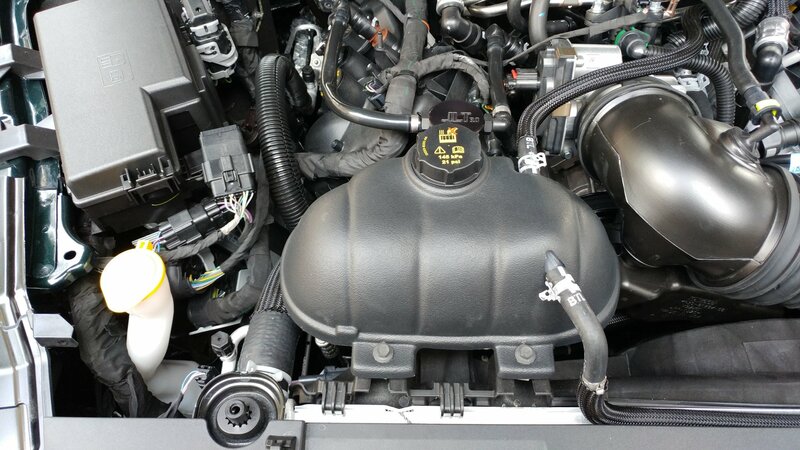 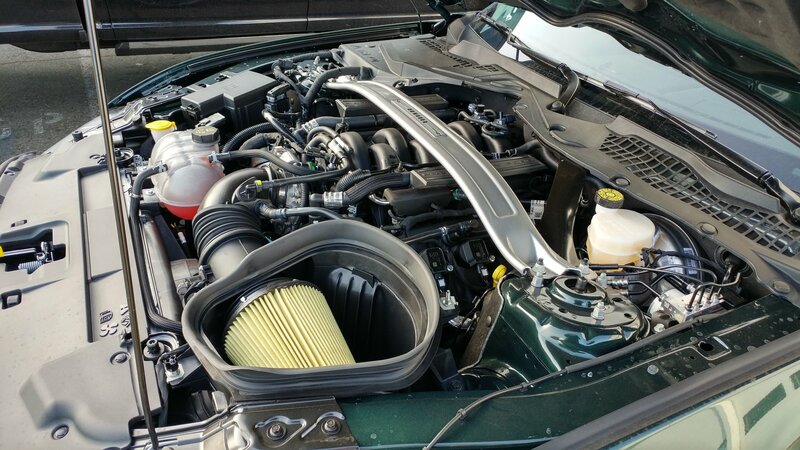 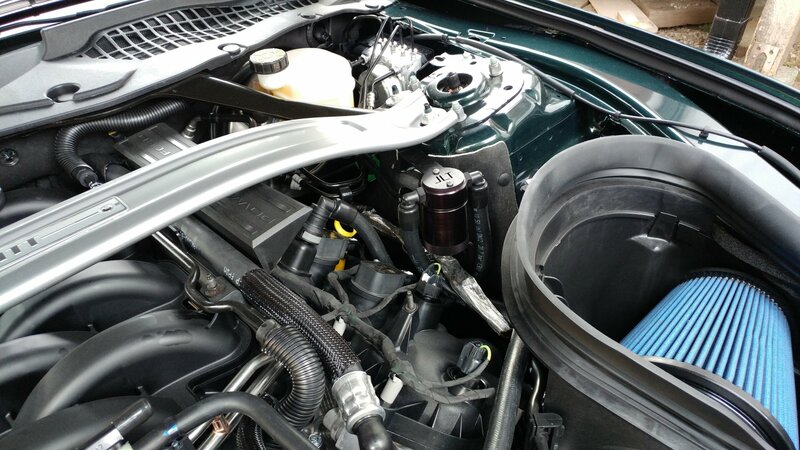 I also took some more pictures of the JLT V3.0 Black Oil Separator - Passenger Side, the black California Pony Cars Coolant Reservoir Tank Cover, and the Ford Performance Air Filter (M-9601-G) by Airaid. 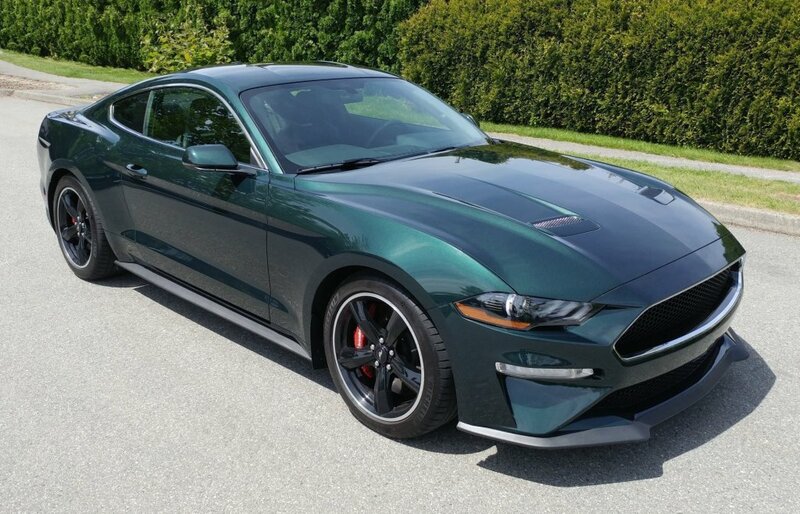 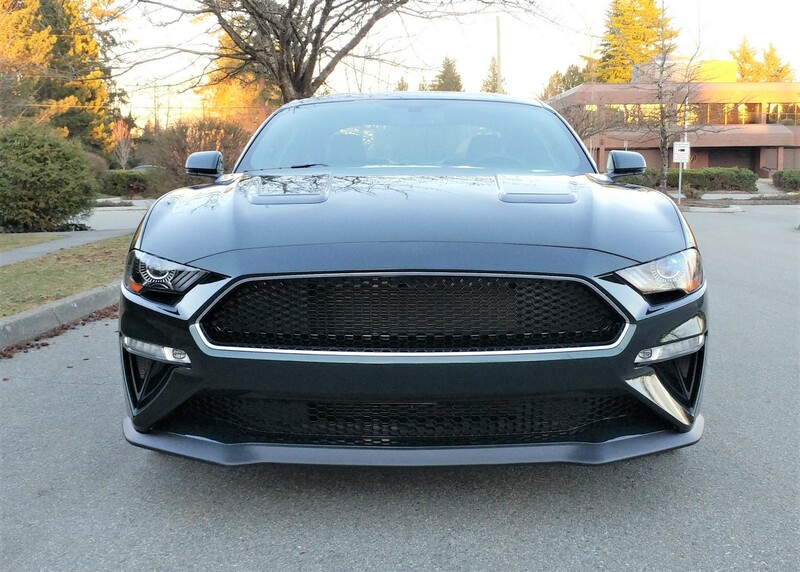 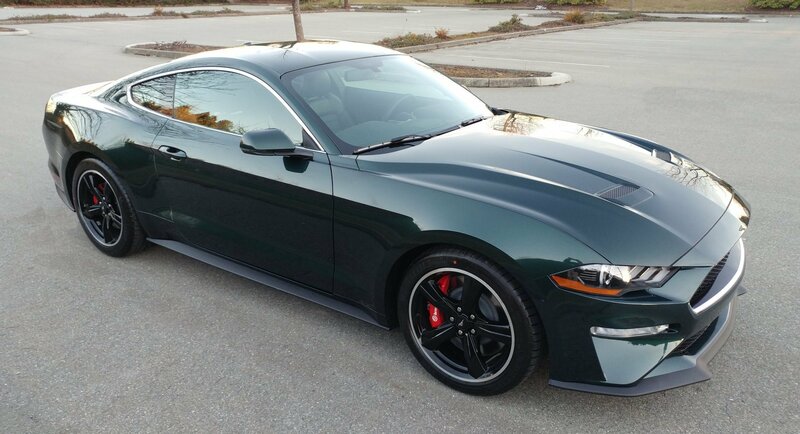 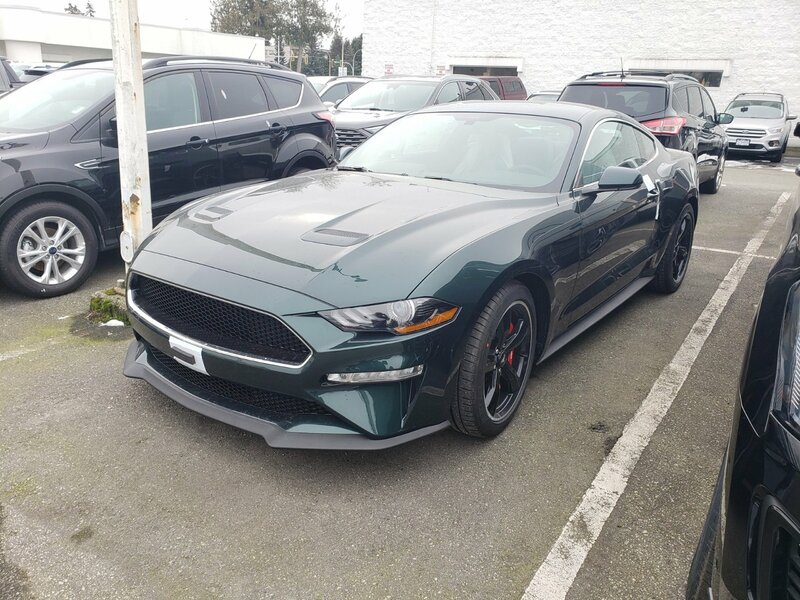 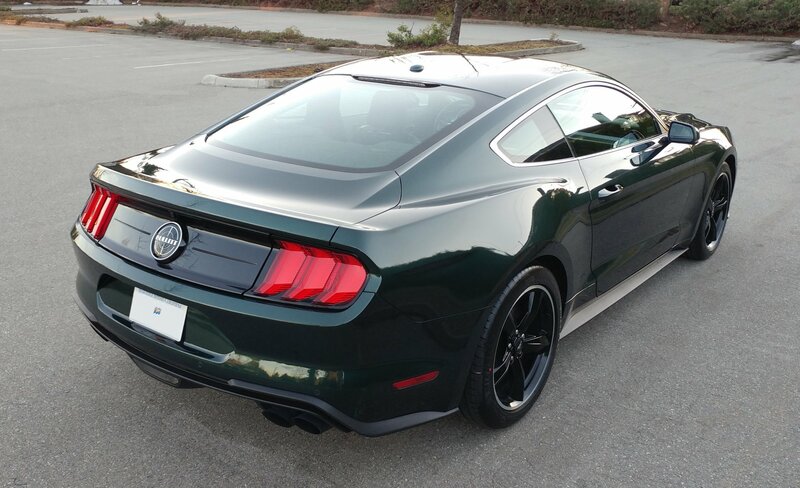 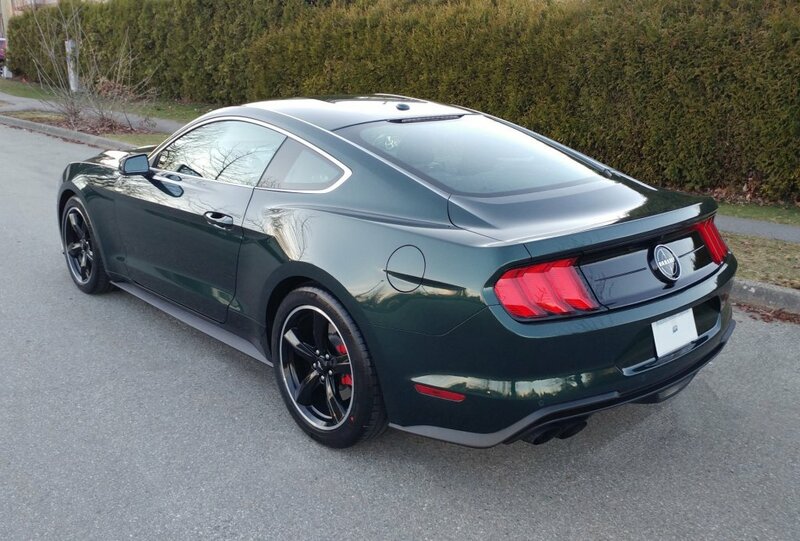 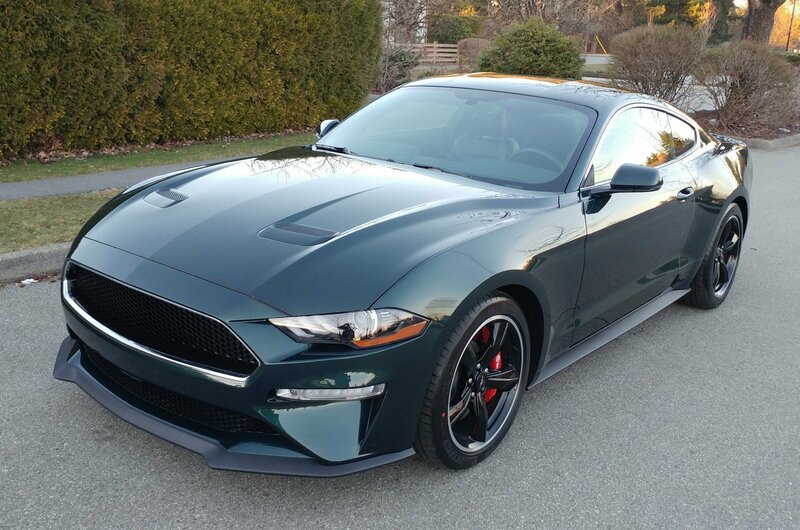 I took delivery of my new Bullitt on March 20, 2019 at Hallmark Ford in Surrey, BC Canada. 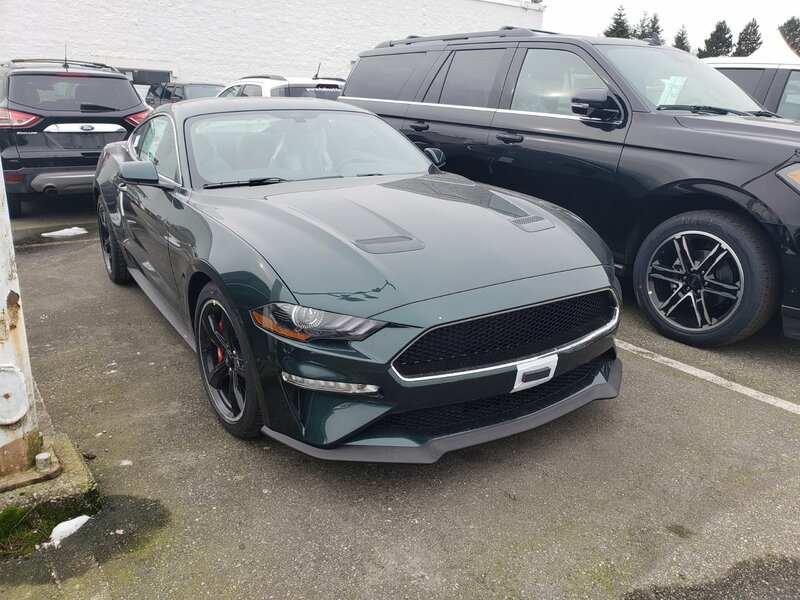 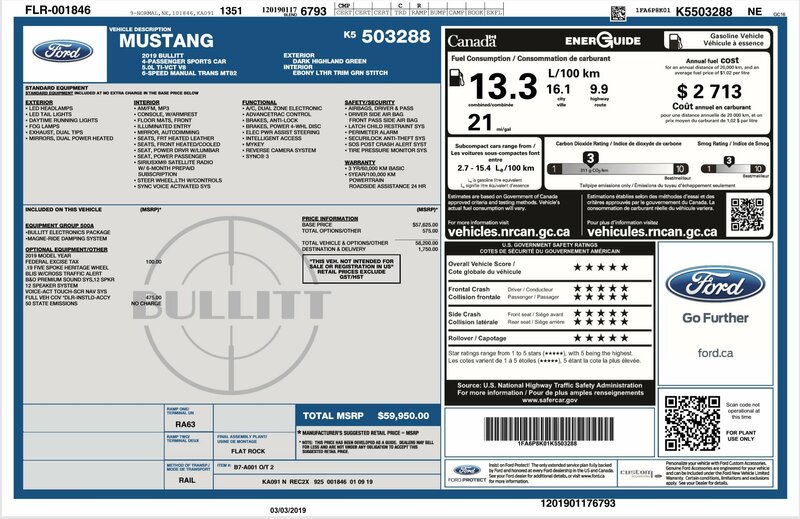 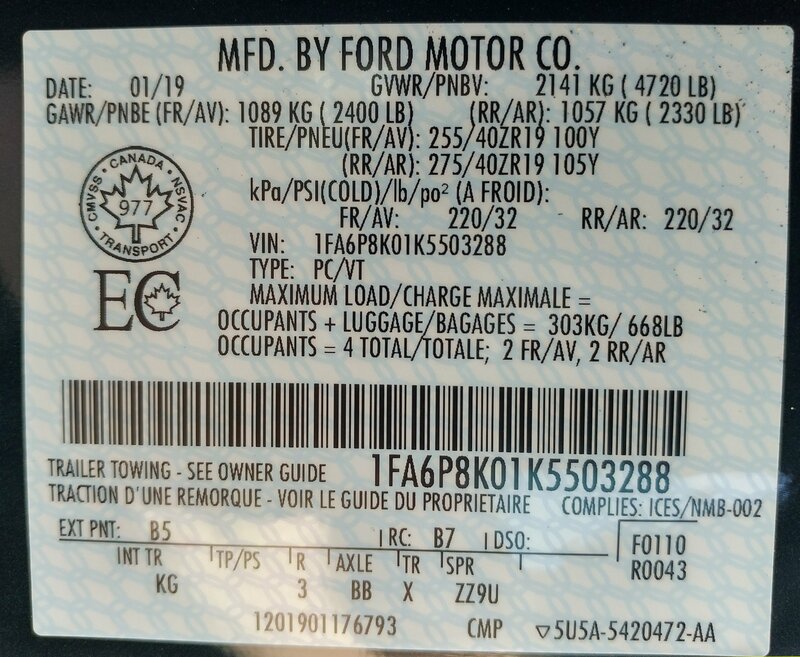 I delayed picking up the car because of a financial Incentive provided by Ford at the 2019 Vancouver International Auto show which started March 19th. 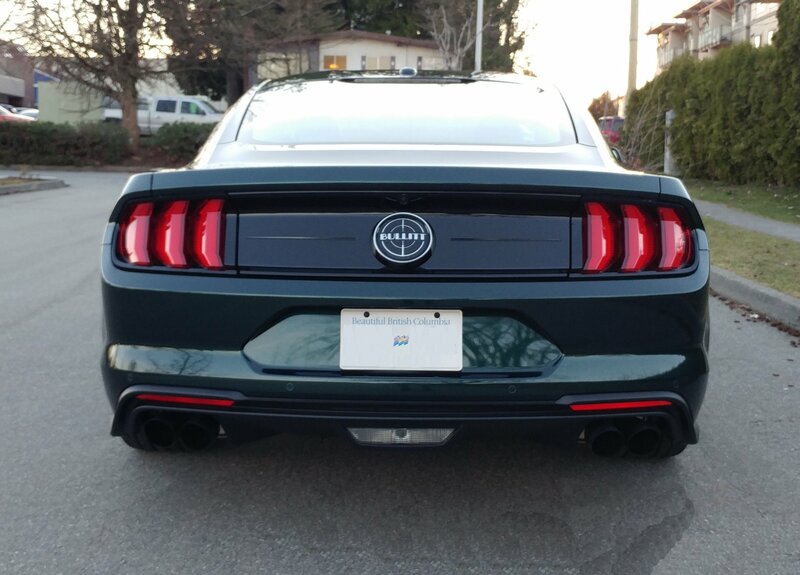 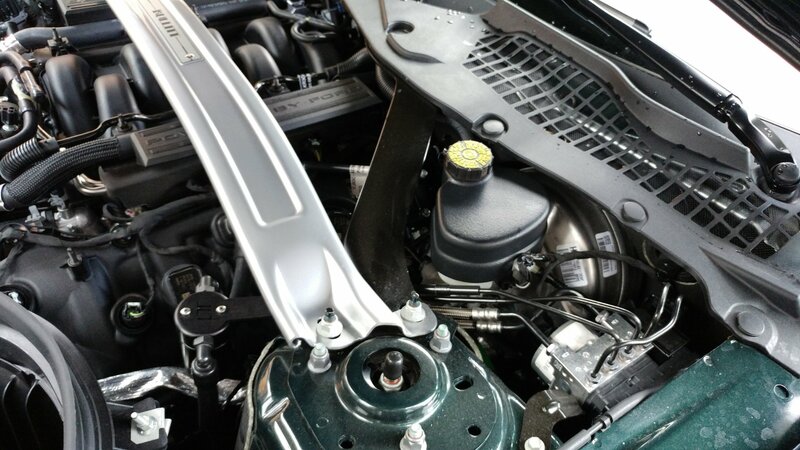 While waiting, I installed the Ford Performance Blue Dry Air Filter by Airaid, Craig's Custom Front License Plate Bracket, and the Black Textured Coolant Expansion Tank Cover. 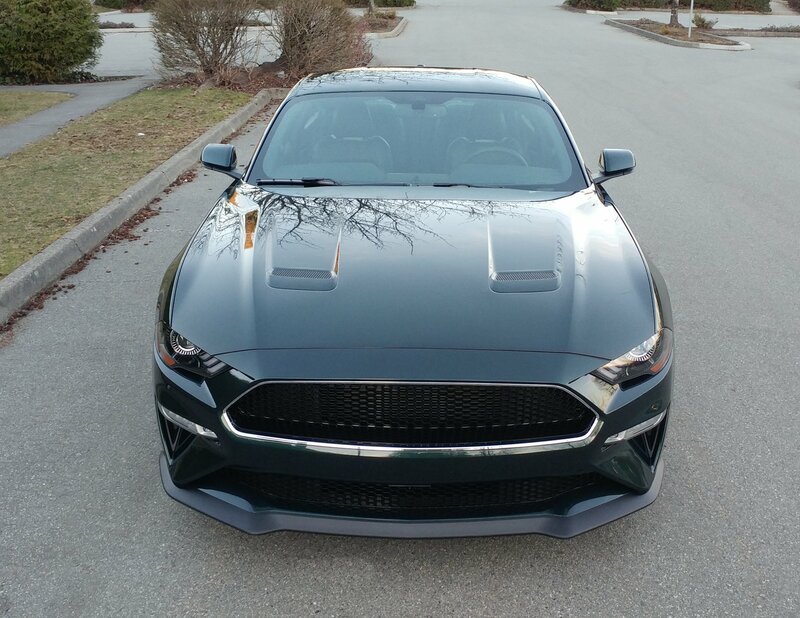 I took these pictures at my usual spot below at about 7pm at night, immediately after driving off the lot to have some pictures to show. 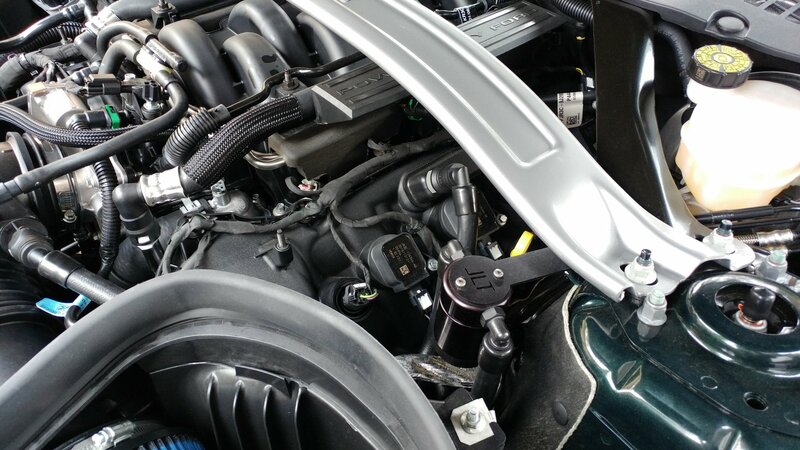 On the next morning, I installed the JLT V3.0 Passenger side oil separator and the 20 Gorilla Chrome Wheel locking nuts. 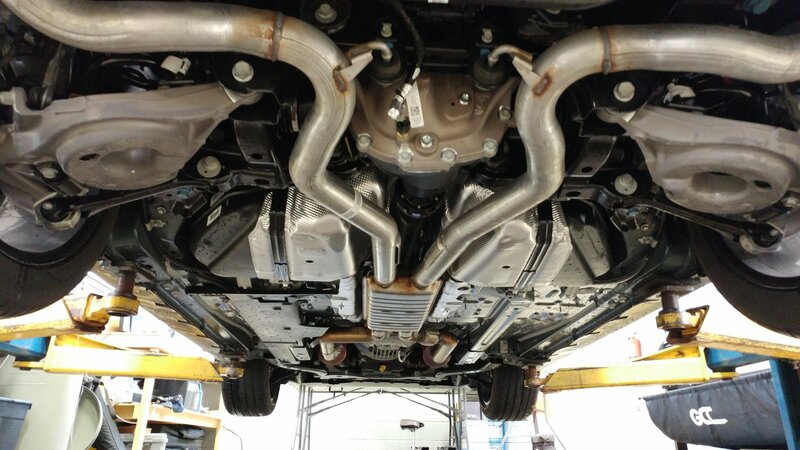 All the mods I will do to the car can be completely reversed. 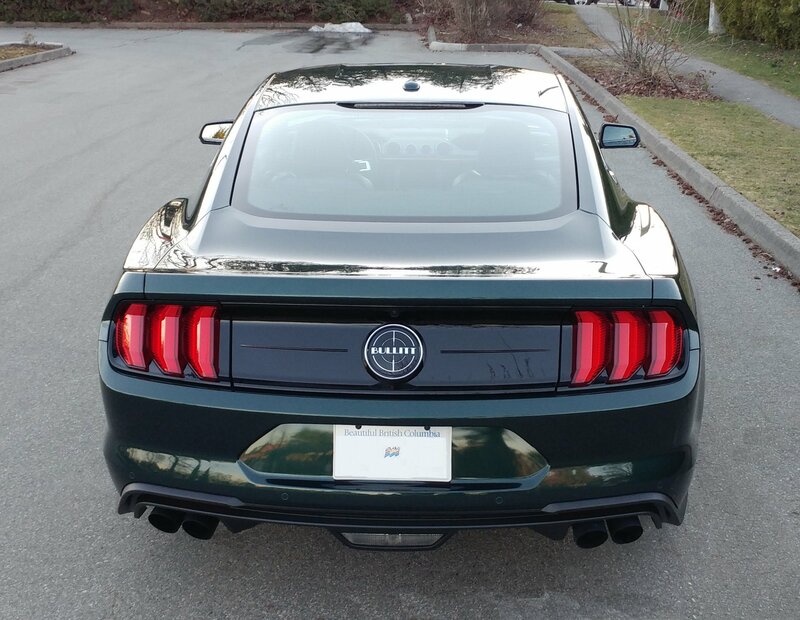 I appreciate this car for what it represents so for me serious mods are out of the question.